This drug will bring muscle mass, but also strength in a short time. Among bodybuilders, Trenbolone is one of the most popular anabolic steroids for mass and strength gain in preparation for various contests and competitions. 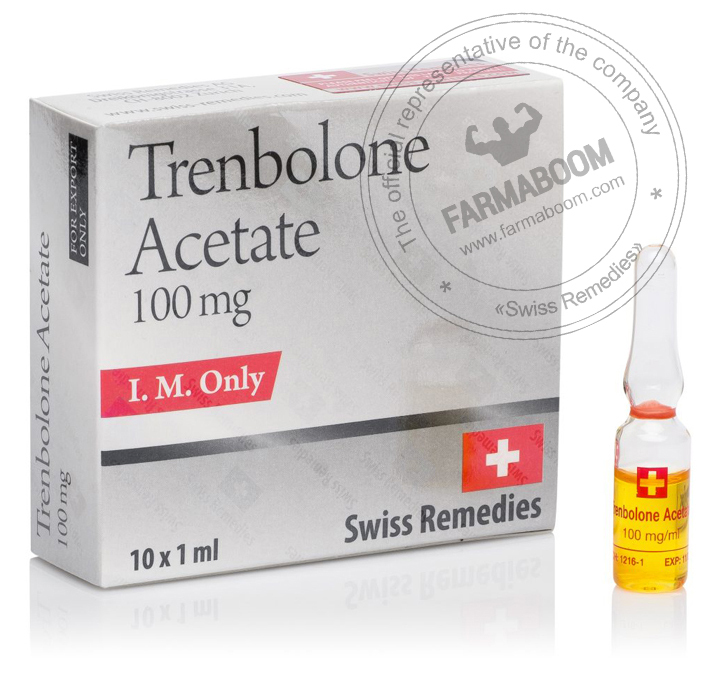 Trenbolone Acetate was first used by veterinarians on cattle to increase muscle growth and appetite. Trenbolone Acethate 100mg Swiss Remedies increases hardness, vascularity and provides a more pronounced muscular appearance. It also increases nitrogen retention and the number of blood cells in the muscles, and plays a role in promoting fat loss. On a dry cycle, bodybuilders can stack Trenbolone Acethate 100mg Swiss Remedies with a non-aromatizing anabolic such as Winstrol, Primobolan, compounds like Dianabol or Testosterone for more intense effects. After the cycle, products like HCG or Clomid / Nolvadex will help the body recover. 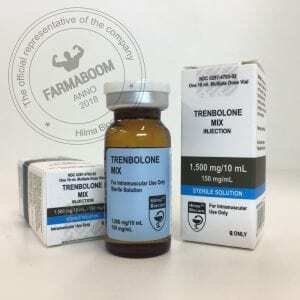 Trenbolone has a half-life of about 3 or 4 days. 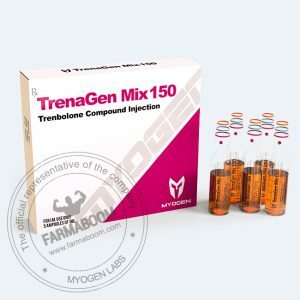 The average dosage in men is 50-100 mg daily. 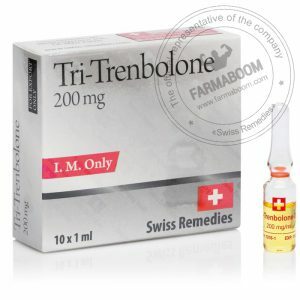 Women can take very small doses, but the use of Trenbolone in women is not always recommended. Increased aggressive tendency, night sweats, oily skin, acne on certain points of the body and hair loss. 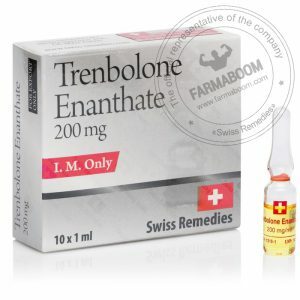 Should be used with care by those who have liver problems.